If you can't figure out what Nintendo's doing with its outrageously popular Classic Edition game consoles, you're not alone< Owojela's Blog cares. What's the strategy with these devices? Will they be produced in limited quantities? Will Nintendo continue to make them? Their answers, unfortunately, did little to clear things up. "Clearly (the Classic Edition line) is a part of our strategy," said Doug Bowser, Nintendo of America's senior vice president of sales and marketing. "We've seen the power of retro games and the affinity towards them. As we look forward, we're looking at how we can mix that retro content that people love and enjoy, but also new content that we're bringing to the market. So it's a part of the plan." Even after talking with Bowser and other company officials, I still have no idea what Nintendo's strategy is with the Classic Edition devices. And I'm guessing most people in the hunt for a SNES Classic this holiday season are in the same boat. What's driving this confusion and frustration is that the retro consoles have been really hard to find. When the company launched the $60 Nintendo Entertainment System Classic Edition late last year, the mini game machine sold out everywhere almost immediately. Consumers were still looking all over for the gadget — and paying outrageous prices for it on eBay — when Nintendo discontinued the NES Classic in April. Last month, the process seemed to repeat itself when the company released the SNES Classic. People lined up overnight for the console, and it quickly sold out. The line outside of Best Buy on September 29, 2017 on 6th Avenue in New York City. Simply put, you can't just walk into a store and buy either of Nintendo's "Classic Edition" mini consoles right now. And that situation — and Nintendo's response to it so far — has left consumers wondering whether the company has any intention of improving things. Company officials assured me Nintendo does, but said it's not as easy as it sounds. "Obviously we always want to meet the demand that's there," Bill Trinen, Nintendo of America's senior product marketing manager, said this weekend. "But sometimes the demand ends up being bigger than you expect." Nintendo fans are familiar with that response from the company. It's the same answer Nintendo gave when the Wii was sold out everywhere. It's the same answer the company gave when the Switch was in short supply. And it's the same answer Nintendo gave when the NES Classic was impossible to find. The answer points to how terrible Nintendo seems to consistently be at forecasting sales of its own products. But it does nothing to set consumer expectations. And that's a particular problem when it comes to the Classic Edition line. When Nintendo launched the Wii and the Switch, consumers could be assured that the company would produce the devices for the foreseeable future. Even if consumers couldn't buy one of the game machines at launch, it just meant they would have to wait until more were available. And more were certainly on the way. But with the NES and SNES Classic devices, Nintendo's offering confusion rather than clarity. Originally, it only offered the NES Classic from November until April. But recently the company announced it will resume production of the device sometime next summer. Meanwhile, it's currently saying it will only produce the SNES Classic through "early 2018." If demand far outpaces supply for that device too, will it resume production of it sometime soon thereafter also? Who knows? 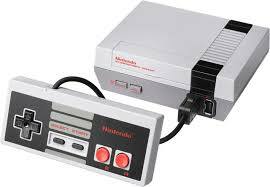 Maybe Nintendo worries that if it keeps devices such as the NES and SNES Classic in production on an ongoing basis, consumers will be less likely to buy its newer consoles (which often sell digital versions of the classic games on those retro machines). Or maybe Nintendo would rather just focus its production efforts on the Switch. Or maybe there's something else entirely going on. Usually a company's business strategy wouldn't matter much to the average person. But in the case of these Classic Edition consoles, Nintendo's lack of clarity leaves everyday consumers in the lurch. Potential buyers have no idea whether they need to buy one this year — and possibly pay premium money on reseller sites like eBay to get one — or if they can afford to wait. It makes for a stressful situation for people who just want to buy the Classic Edition consoles, and it risks sullying an otherwise wildly popular line products.